Continued from Hiking matters #317: Camped at the tiny but brave Bakian Elementary School, whose six pupils and lone teacher were having their Christmas vacation, we were cheered by the full moon, whose presence that night boosted our hopes for a sunny second day. I was aware of the strategic position of Mt. Purgatory relative to some of my favorite Cordillera peaks; and I harbored the hope of seeing them in a new perspective. We resumed the trek at around 0700H; and true enough, the skies were blue. 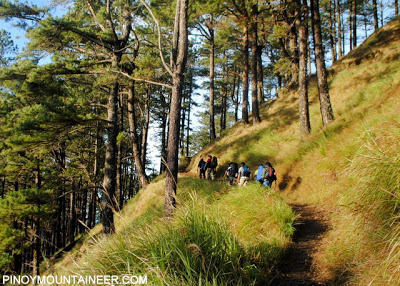 Immediately, we entered a pine forest, beautiful as those of Kibungan; and not long after, some of the more familiar landmarks of the Cordilleras came into view: Mt. Sto. Tomas (SW) and Baguio City underneath; the Halsema Highway culminating witth Mt. Timbak (NW), and a spectacular view of Mt. Pulag, which was so near that I could see people trekking using my 24x binoculars! 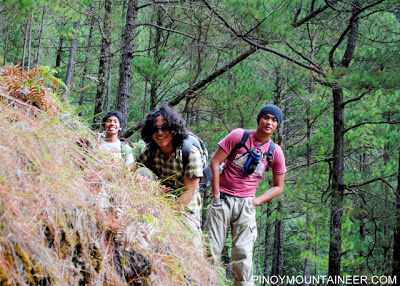 The trail continued to alternate between pine and mossy forest; the official Bokod tourist map showed two peaks, Mt. Bakian and Mt. Tangdaw, but they are too minor to be considered as distinct peaks. What counts as a major peak in the trail would be the 2315-meter Mt. 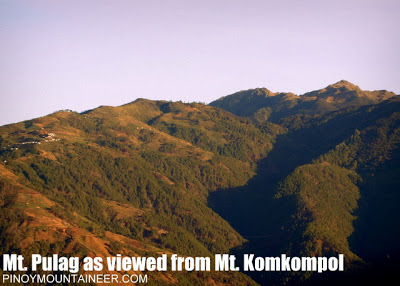 Komkompol, which also offered nice views of Mt. Timbak and Mt. Pulag. I think (but am not very sure) that this also counts as the highest point in the range (though Mt. Pack can be a candidate too). From Mt. Komkompol, it is easy to see Mt. Salingsingan (NNE) and behind it, Mt. Pulag. Is it possible to traverse from Mt. 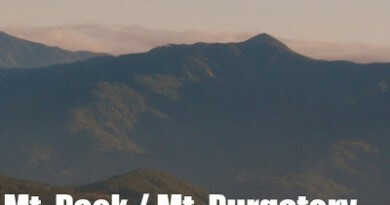 Purgatory to Mt. 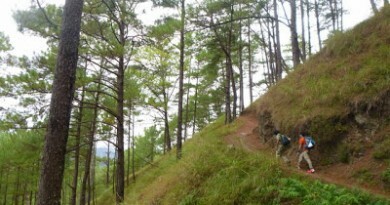 Pulag via Mt. Salingsingan? I believe so. 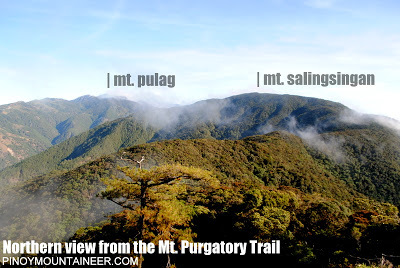 This Purgatory-Salingsingan-Pulag (PSP) Traverse would truly be worthy of Dante Alighieri, a grueling 4-day trek from ‘purgatory’ to the ‘playground of the gods’! 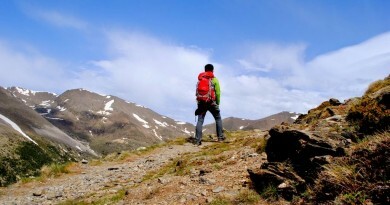 I will gladly buy a bucket of beer for whoever gets to do this hike first. I also believe that it is very possible to traverse from Mt. Ugo to Mt. Purgatory. The dots are finally connecting! 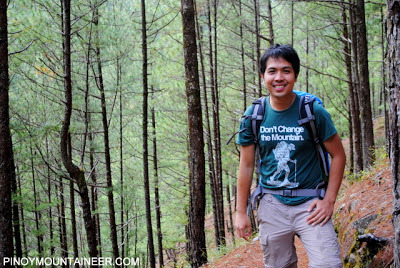 I marched down from the summit with such exciting thoughts, and after a lovely pine-forested descent, we soon reached Brgy. Ekip. From there, a further 4-5 kilometers of rough road was required for us to cross until we reached the store between Ekip and Poblacion that marked the end of the trail. 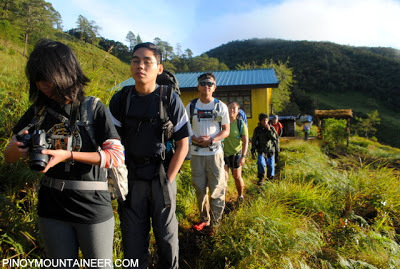 By the time we arrived, we had trekked a total of 24 or 25 kilometers. We headed to Baguio City and had dinner in one of my favorite restaurants, before returning to Manila. Reflecting on the trail, I would not call it really difficult in terms of the slope, nor very long relative to comparative hikes like the Mt. Ugo Traverse. Purgatory? Not quite. Beautiful? Yes, very. 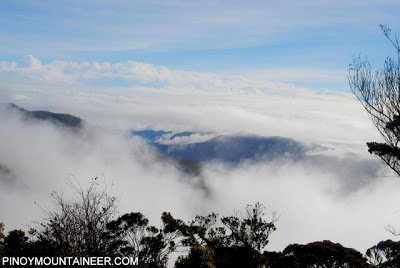 If there is a chance to traverse to Pulag, I will very much want to go back and do it. ← Announcing the PinoyMountaineer Photo of the Week Contest!